We at Folkart Slovakia thrive hard to maintain the best quality-to-price ratio by careful wood selection and curing process, effective use of modern technologies as well as precise hand work employing the best of the Fujara crafting know-how accumulated in Slovakia over centuries. FS lathe-turned Fujara's body is turned from hand-chosen quality upland wood. The fipple (the heart&soul of a fujara flute) is finished solely by hand achieving unbeatable quality-to-price ratio of all the Fujara flutes available on the market. FS hand-bored Fujara is purely hand made from natural piece of upland elder-tree, preserving original bent shape of the particular piece of wood, together with its structure, timber, as well as harmonics. FS collapsible fujara flutes are fully comparable (and mostly superior) to their "whole" one-piece counterpart, are better suited for transportation and are SHIPPED WORLDWIDE FREE OF CHARGE. FAQ - how to care for a collapsible fujara ? Free courier shipping worldwide ! All Folkart Slovakia Fujara flutes are shipped in aircraft friendly reusable packaging - plastic (PVC) tube closed by removable plastic lids. 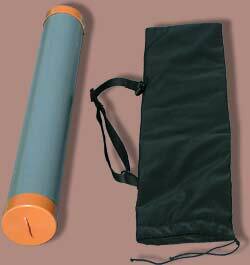 Padded carrying bag is included with every Folkart Slovakia Fujara flute for free. Custom-made, elegant, wooden case can be ordered for any collapsible Fujara flute or Fujaridoo for EUR 95. Recommended for collapsible Fujara flutes or Fujaridoos made in 3 parts. Fujara flutes from one, long piece of wood are in Slovakia crafted already for centuries. Only recently, as the Fujara flute outgrew the area of Slovak shepherds and expanded beyond the borders of Slovakia, more and more people started to ask for collapsible Fujara flutes. First we looked for and play tested extensively all the available collapsible Fujara flutes on the market. However, to our disappointment, we found out that the quality of these Fujara flutes and especially their joints was really poor. Thus, we grasped the opportunity to consult with the best Fujara makers already cooperating with Folkart Slovakia, and developed our own technique of crafting fine quality collapsible Fujara flutes. As a result we achieved to craft all-round excellent+ collapsible Fujara flutes with perfectly sealing and long-lasting joints.